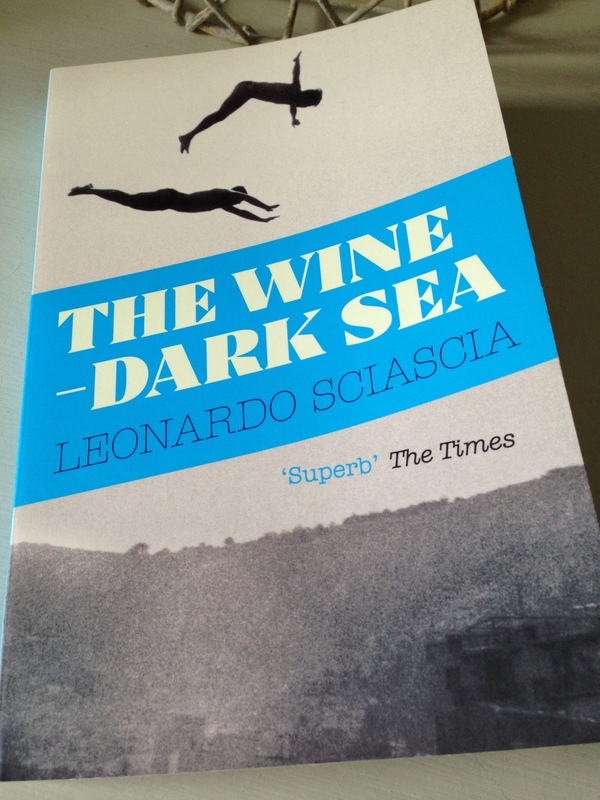 The thirteen pieces in this excellent collection of Leonardo Sciascia’s short stories, The Wine-Dark Sea, were written between 1959 and 1972. Collectively, the author considered these stories – which are arranged in chronological order – as a kind of summary of his work up until that point in time. As such, the pieces are somewhat diverse in nature, and yet there is something inherently Sicilian in each and every one, a reflection of a certain aspect of the island’s soul and character. As with other collections I’ve covered here, I’m not going to review each individual story. Instead, I will focus on my favourites, the ones that made the greatest impression or spoke to me in some way. The collection opens with The Ransom, Sciascia’s retelling of an old folk tale he first heard during a visit to the capital as a young boy. When Don Nicola Cirino, the Procurator General of Palermo takes a fancy to a beautiful girl named Concettina, he sees an opportunity to strike a bargain with her father, Don Raimondo. If the father allows him to marry Concettina, Don Nicola will arrange for the release of the man’s son-in-law, currently serving a prison sentence for killing a peasant with a single kick of his foot. Despite the young girl’s concerns, the father agrees to the union, and so Concettina has to marry the old judge; in effect, the innocent must pay the price for the release of the guilty. However, the story doesn’t end at this point; there are further developments to come, events that add a touch of irony to this old tale. Many of the stories in this collection are underscored by a sense of rivalry between factions, whether it be clashes between husbands and wives, conflicts between separate branches of the Mafia or tensions between local neighbourhoods. This quote from The Ransom captures it nicely as Sciascia reflects on the differences between two neighbouring towns, Grotte and Racalmutto. Perhaps somewhat inevitably, the Mafia feature in quite a few of Sciascia’s stories. In Philology, two men discuss the origins and meaning of the word ‘mafia’, but their reasons for doing so only become clear as the story unfolds. Another story, the aptly named Mafia Western, features two rival Mafia cells that have been in conflict with one another for many years. When a third cell is suspected of killing several members of both factions, not even the patriarchs of the Mafia hierarchy can solve the issue through the usual declaration of a truce; so they leave it up to the two cells to resolve things as swiftly as possible. In one of my favourite stories from the collection, The Long Crossing, a group of peasants board a ship on the promise that they will be taken from Sicily to New Jersey, where life in the land of hope and glory beckons. The story opens with this wonderful passage which sets the scene perfectly. Several of the men have sold virtually all their possessions to pay for the trip, a journey they understand will take twelve days, give or take a day or two, But when they arrive at their destination, all is not quite what it seems at first sight. This is a mournful story of faith and duplicity, one that will stay with me for quite a while. Like a number of the stories in this collection, A Matter of Conscience ends on understated but poignant note. Interestingly, I found Sciascia’s stories more humane than I had anticipated. When I think back to my previous readings of Sciascia’s novels Equal Danger and The Day of the Owl, it’s the biting combination of crime, corruption and political intrigue that I remember rather than a sense of compassion. Perhaps the best example of this feeling of humanity is encapsulated in the titular story, The Wine-Dark Sea, in which Bianchi, an unmarried engineer from the North of Italy is travelling to Sicily by train, sharing a carriage with a husband and wife and their two boys. The family, who are returning from a wedding in the capital, are accompanied by a relative, an attractive young girl named Dina. As the journey progresses, Bianchi – a man who has never been particularly fond of children – finds himself warming to the young boys despite their rather unruly behaviour. Further, Bianchi is clearly attracted to Dina, a girl of few words and profound feelings. As a consequence, these two developments prompt him to re-examine his own life. At just shy of forty pages, this is the longest story in the collection and deservedly so. It touches on the joy of family life, the tensions between the people of the North and those of the South (the Sicilians, in particular), the values of society, so many things. It’s my favourite piece in the collection. A similar humane quality comes through in The Test, a story in which a Swiss engineer named Basler travels across Sicily from town to town, recruiting young women to work in a factory producing electrical goods. On the engineer’s arrival in an isolated village, his driver is approached by a young man whose girlfriend is one of the candidates. The young man wishes to marry this girl, and so he implores the driver (a fellow Sicilian) to help him by persuading the engineer to reject her, thereby ensuring she remains in the village. This story touches on several things: the economics of life in a small town; the dignity that comes with work and being able to provide for a family; questions of trust and loyalty. It’s another fine story. Demotion, in which the head of the local Communist cell berates his wife for joining a demonstration against the removal of a statue from the local church, the statue of a saint whom the priests have now declared as never having existed in the first place. This is a story with an ironic sting in its tale, best left for readers to discover for themselves. End–Game, the story of a man who is sent to eliminate a woman. But who holds the balance of power here? Is it the assassin, his potential victim or the man who commissioned the kill (the husband of the woman in question)? In summary, this collection of stories would make an excellent introduction to Leonardo Sciascia’s Sicily, a place characterised by a compelling fusion of raw beauty, dignity, suspicion, brutality and sly irony. Update: Grant (1streading) has reviewed this collection – click here to read his excellent review. The Wine-Dark Sea is published by Granta Books. Source: personal copy. This entry was posted in Book Reviews, Sciascia Leonardo and tagged #TranslationThurs, Avril Bardoni, Classics Club, Crime, Fiction, Granta Books, Italy, Leonardo Sciascia, Literature in Translation, Sicily on February 17, 2016 by JacquiWine. Great review as always Jacqui. I have read one Sciascia book “A Simple Story” which was anything but, and I’ll certainly look out for this one – sound like a fascinating collection! Thanks, Karen. I’ll have to keep an eye out for that one. His stories are very interesting – they are by turns philosophical, humane and surprising. That’s great! I think this would be an excellent choice for your reading project. Sciascia’s stories seem to capture the very essence of Sicily, the island’s culture and its inhabitants. I really hope you get a chance to try them. Thanks for this review. It arrives right on time. I downloaded it since I’m going to Sicily in the Spring. How timely! I can’t want to hear what you think these stories. This collection should give you a good introduction to the heart and soul of the island. I spent a very enjoyable week travelling around Sicily ten years ago, would love to go back at some point. This sounds wonderful Jacqui. I’ve not read a short story collection for quite a while, it will make for a change! Oh, I’m glad you like the sound of it. Sciascia’s stories are quite unusual, very different to much of the more conventional short fiction from many of the American and British writers I’ve read. I really liked the diversity of pieces in this collection. Great commentary as always Jacqui. Thanks, Brian. Having read a few of Sciascia’s works, I would recommend this collection as a good place for you to start with him, partly because of the humane quality you’ve picked up on . He’s definitely worth considering, especially if you’re interested in getting an insight into Sicilian life and culture. Shockingly, I don’t know Sciascia’s work at all. I’d better go see if I can hunt down one or two of his novels, since novels rather than story collections are generally the way I get into authors. Many thanks for the introduction, Jacqui! So off I pottered to the library catalogue and immediately recognized the cover and blurb of the single novel of his they have there, To Each his Own. So I’m not as ignorant as I thought I was! I quite enjoyed that book back in September 2014 . . . probably thanks to your review of Equal Danger. Haha – I love it! Well, if you’re interested in trying another of his novels, I would recommend The Day of the Owl. I think it’s my favourite of the Sciascias I’ve read so far, and I have a feeling you might enjoy it too! Nice review of a new-to-me author. I haven’t read anything set in Sicily in quite a while, so this might be a good place to start up again. What a coincidence. I’m so in the mood for books and stories set in Sicily. I travelled there extensively and wanted to bring back some of the memories. Of course, I thought of Sciascia whom I haven’t read. Luckily I own this. I’m very curious to see how I will like him. Oh, how timely! It’s good to hear that you have a copy, that’s great news. I would love to hear what you think of this collection, Caroline. I’ve only been to Sicily once and would love to go back again one day. The island has a very unique character, and I think Sciascia captures it perfectly. I really want to start the collection right now. Maybe I will. Sicily is fascinating. I loved Syracuse but Palermo is beautiful too. Excellent! Isn’t it just the most wonderful place? Syracuse was one of my favourites too. We had some fantastic food and wines there. A marvelous review, Jacqui, feeding your readers with just enough detail to get them – this one, anyway – tremendously excited about taking on the collection. I have this lying about somewhere and will certainly be re-visiting it. Interesting that you call out Sciascia’s compassion as a surprising quality. I agree that it’s not overtly apparent in most of his work, but his deep moral conscience occasionally leads to revealing moments of compassion. I’m thinking in particular of parts of The Council of Egypt. Thank you, Scott. It doesn’t surprise me to hear that you have a copy of this collection as it strikes me as being right up your street, especially given your love of Italian literature! The humanity and compassion really came through in three or four of the stories in particular (The Wine-Dark Sea, The Test, A Matter of Conscience and The Long Crossing). I haven’t read The Council of Egypt, but your comment has me scurrying off to look it up. Thanks for the tip. You’re very welcome! I’m a bit of a fan of Sciascia’s work as I think he’s still relatively underappreciated as far as writers go. If you’re tempted to give him a try, then this collection would make a good intro. As you say, the stories are quite diverse, but they come together to form a sort of tableau of Sicilian life. Alternatively, I can highly recommend his novels, especially The Day of the Owl, my favourite of the works I’ve read so far. I read (and reviewed – though far more briefly!) this two years ago. Like you, it seems the title story was my favourite. Shamefully I haven’t read anything else by Sciascia despite intending to! Ooh, I hadn’t realised you had reviewed this one, Grant (or if I did, I had forgotten). Right, I shall head over to yours in a little while to take a look at your review! Yes, I loved the lead story in this collection – the characters, the themes, the way it unfolded, everything really. If you’re ever interested in trying another Sciascia, may I suggest either The Day of the Owl or Equal Danger, both which I enjoyed very much. I was reminded of them last year when I read The Inspector Barlach Mysteries – like the Durrenmatts, Sciascia’s novellas contain a philosophical dimension. I have this one on the shelf (NYRB version). and I read To Each His Own which I really really liked. Been meaning to get back to this author. Great stuff – I think you might like these stories, Guy. Good to hear you enjoyed To Each His Own. For some reason, Granta didn’t include it in their reissues, so I may have to hunt around for a copy. Jacqui: I liked the way this writer thinks–if that makes sense. Yes, it does. He has a strong moral compass. I like the way he exposes the corruption and duplicity inherent in state-controlled organisations – it comes through very clearly in much of his work. I think you’d really like To Each His Own. I’ve managed to find a copy of the NYRB edition online. Duly ordered! Rather jealous of Emma going to Sicily and Caroline having been. That aside, it sounds tremendous, a really strong collection. I’m a bit overflowing with short stories presently so likely won’t get to this for quite a while, but you do make a terribly good case for it. It’s a wonderful place, so full of character and spirit. The closest comparison I can think of is Naples. It’s that mix of raw beauty, grittiness and vitality, I think. As for The Wine-Dark Sea, it’s an excellent assortment of pieces, but I understand what you’re saying about having more than enough short stories right now. I tend to get through quite a few collections as I often read short stories alongside whatever else I’m reading at the time (novels mostly). If I’ve only got 20 minutes to read, then I tend to turn to stories rather than a novel as they’re easier to fit into smaller chunks of time here and there. As a result, a collection might last me two or three weeks as I’m dipping in and out every now and again. Have you read anything else by Sciascia, Max? He definitely strikes me as being your type of writer. The Day of the Owl is my fave of the novels I’ve read so far, but I really enjoyed Equal Danger too. Nothing. I hope to at some point and Day of the Owl would likely be my first. Good plan. That’s where I started with him and I’ve never looked back. I love seeing films from this part of the world, but can’t say I have read much of the literature, love how you find such interesting works Jacqui, thanks so much for sharing these. You’re very welcome, Claire. I’ve only been to Sicily once, but it turned out to be one of the most memorable weeks I’ve ever spent abroad. It’s a fascinating place, so I’m often drawn to stories set on the island as a way of returning there, albeit vicariously! I’m reading a lot of short stories at the moment and this collection sounds fantastic. The Long Crossing sounds like it could still be very pertinent today. I loved the line ‘the darkness so thick that its weight could almost be felt when one moved’. I’m glad you like the sound of this one, Cathy. You’re right, there’s something timeless about The Long Crossing – I couldn’t help but think of the current migration crisis too. I’ve had this collection in Italian for two or three years now, but I haven’t worked up enough nerve to give it a go in the original language yet. Your enthusiastic review gives me motivation, though, and it’s been a while since I’ve read any Sciascia so there’s extra motivation as well. Have you read Sciascia’s nonfiction The Moro Affair, Jacqui? That one probably rivals The Day of the Owl as my favorite Sciascia to date. Cheers! Ooh, how interesting. I would love to be able to read Sciascia in his native language. It’s a fine collection, and it reminded me just how good a writer he was. No, I haven’t read The Moro Affair, but it’s definitely of interest to me. Sounds like I’m going to need to pick it up, especially if it’s up there with The Day of the Owl. Thanks for the recommendation, Richard!